Ever since Elizabeth and James launched their Elizabeth and James Nirvana Black and Elizabeth and James Nirvana White fragrances, which are my favorites. I've been hooked on all the scents, packaging and the fragrance concept of unique, sensual non-overbearing scents that can be worn alone, or layered in a multitude of ways. Over the last few years, they've added Elizabeth and James Nirvana Rose, and Elizabeth and James Nirvana Bourbon to the line up, and all four of the above mentioned versions have been in gift sets for the last few holiday seasons. 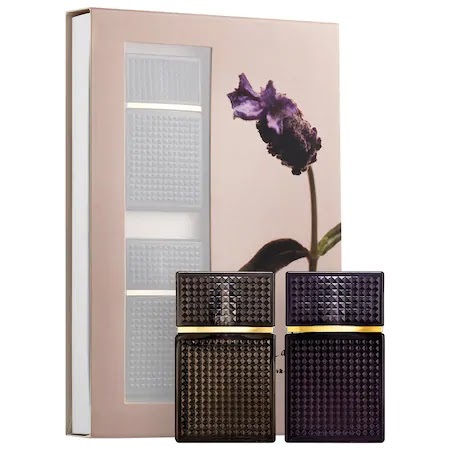 This year they've included two of the other scents that were added to the line up last year, Elizabeth and James Nirvana French Grey and Elizabeth and James Nirvana Amethyst in a brand new gift set perfect for the Elizabeth and James fan, or just the fragrance lover in your life. And if that wasn't enough, Elizabeth and James Petite Nirvana is a $40 value for only $28! Elizabeth and James Petite Nirvana set contains 2 x 0.22 oz mini dabber bottle versions of Elizabeth and James Nirvana French Grey and Elizabeth and James Nirvana Amethyst. Of the two, I've also added Elizabeth and James Nirvana Amethyst to my favorite Elizabeth and James fragrances. Elizabeth and James Nirvana Amethyst is infused with refined tobacco notes, which gives it just a touch of subtle smokiness, along with a beautiful combination of honeysuckle and cedar notes. 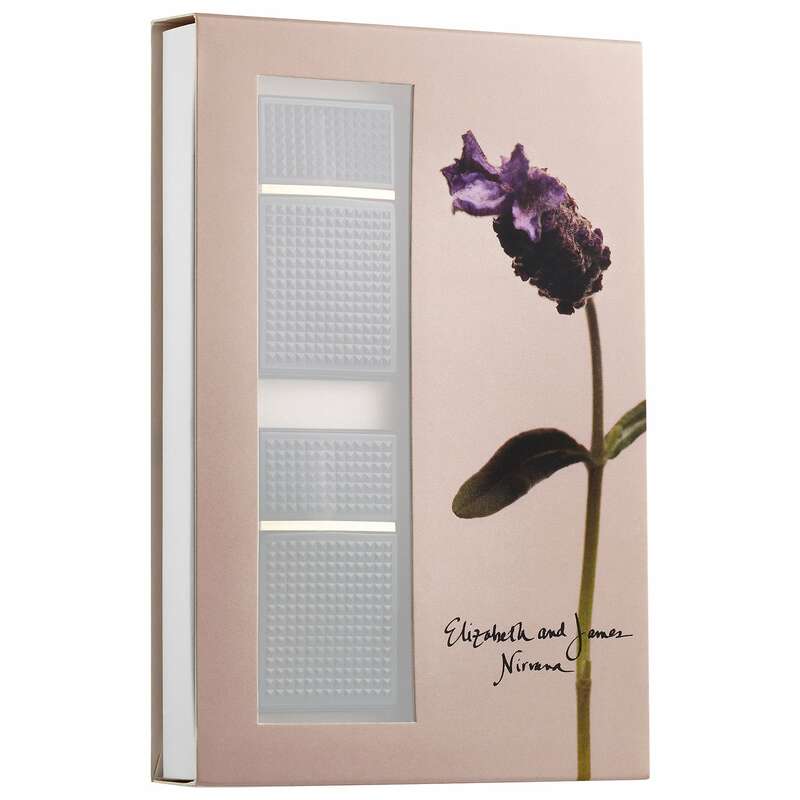 Elizabeth and James Nirvana French Grey has notes of lavender mixed with neroli and musk, and is for those who like a heavier and more floral/spicy scent. Note: The Elizabeth and James Petite Nirvana mini bottles are not spray bottles, they are dabbers which you apply with your fingers.